The Intro 24/400 is a stylish and modern underground system that has the capacity to move up to 500kg and 4 metres in length per gate leaf. The Intro 24/400 is the 24 volt version which enables the option for battery backup if required. The intro 400 range boasts many innovative features such as, a slow-down facility on opening and closing, obstacle detection to ensure safety, secondary programmable safety input for additional photo beams or safety edges, partial opening for pedestrian access, auto safety test mode where the control unit drops the power to the photo beams and waits for a change in the states before performing a cycle. The 400 range has many more features. 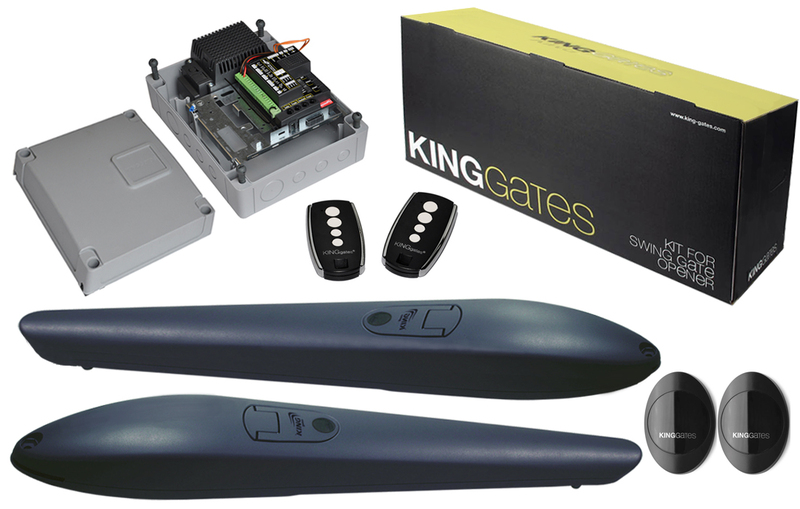 For more information please go to the manuals section or contact us at GatesGates. 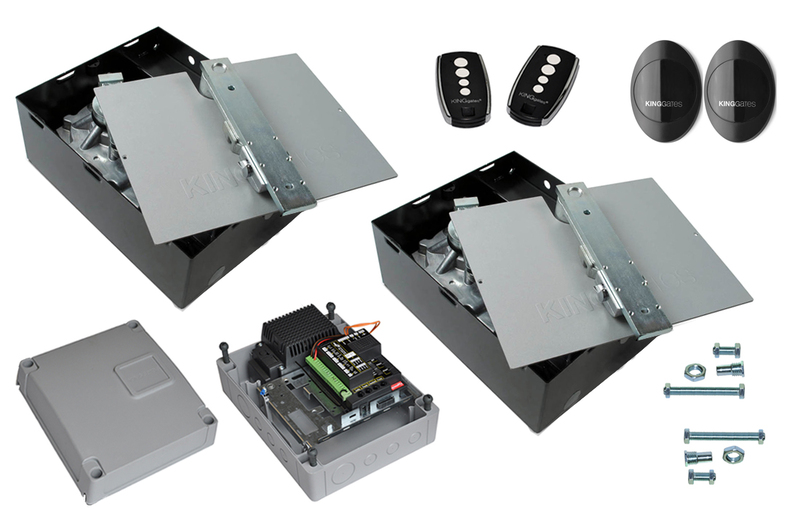 The kits consists of: 2 x Intro 24/400 motors, 2 x Foundation box`s, 1 x Star 224 control unit, 2 x Stylo 4 radio transmitters, 1 x Pair of Viky 30 photo beams, 2 x override release arms and Mechanical Stops for open and closed positions. 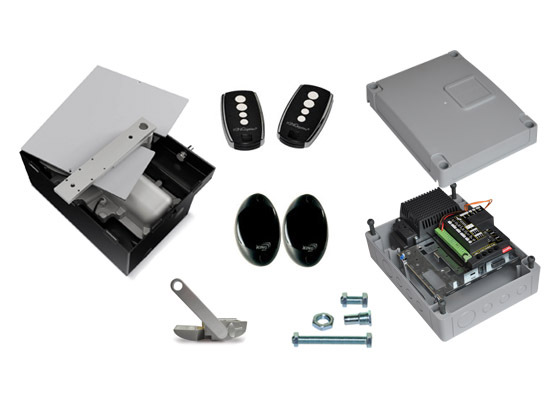 The control unit comes housed in an IP 54 rated plastic box with Power supply and built-in radio receiver that has a capacity for up to 200 remote transmitters. 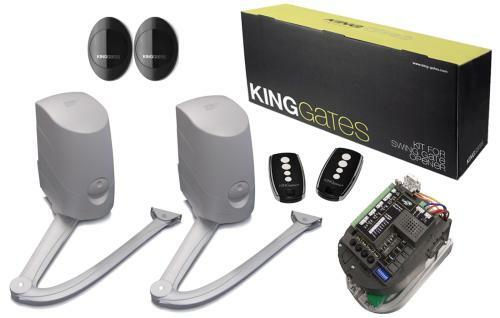 Underground systems are the most discreet way of automating gates, by burying the foundation boxes flush with the ground under the hinge position and connecting to the underside of the gate you will achieve a seamless installation. The Intro 400 Underground systems can open your gates inwards or outwards and by purchasing an int180 you can achieve 180 degree opening.